Cannot find an existing house or property that meets your familys needs? 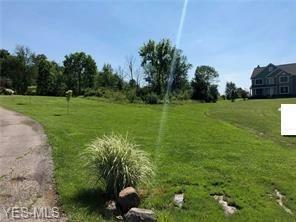 Here is an opportunity to build on 4+ acres in Bainbridge Twp. with Geauga County taxes on a cul-de-sac drive and only 2 miles from the Village of Chagrin Falls! This lot is lightly sloping which will accommodate a walkout lower level and the rear of the property backs up to preserved common area and will offer spectacular sunsets. Call to schedule a time to walk this property. Bring your own builder if you like. Welcome Home!